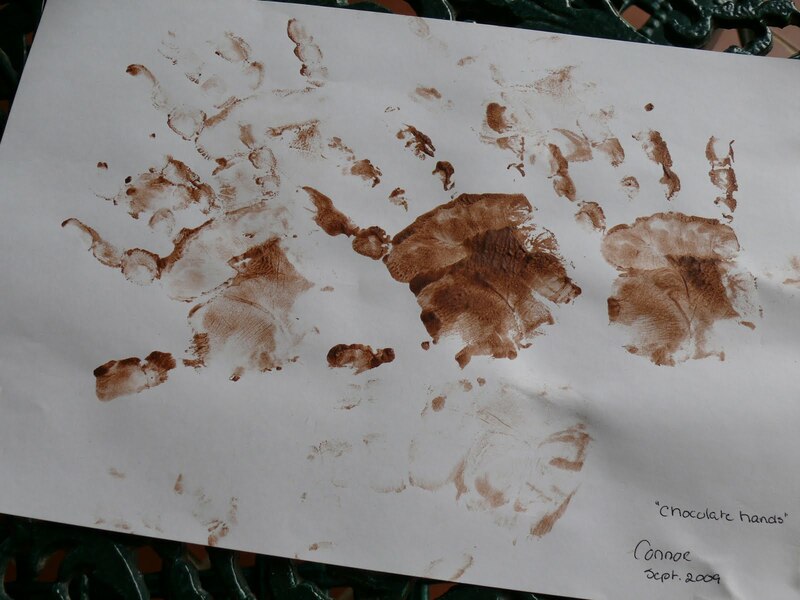 Wordless Wednesday : Chocolate hands! Explanation necessary …… go to Jeanette’s post ‘Granny’s chocolate pudding’ …. just before going home, Connor asked for MORE chocolate pudding. He sat quietly on his own and unbeknown to all of us he left me with a little piece of artwork !!! LOL, he was so proud of his artwork! You should have it laminated. That is so sweet! And messy! Gosh – I'd forgotten about sticky little fingers!! Very creative! Such a yummy way to paint! How precious!! What a creative little artist you have and a great keepsake! What a hoot! Thanks for sharing! Loved the pictures at Jeannette's!! He has such a cute smile!! Beautiful art, a bit sticky though I'll bet?